If a top lawyer says the system is broken and needs to be fixed. That says it all. Dr. Richard Cordero is part of a growing number of Americans fed up with the way our American Judicial System is operating and is taking action to reform it. Dr. Richard Cordero spars with US Federal Judge Ralph Winter on the subject of an American Judiciary run a muck. 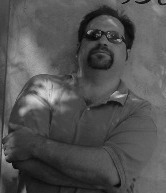 Francis C. P. Knize testifies also and was the primary editor/producer of the above video. The hearing is shut down when Elena Ruth Sassower asks to speak at the hearing for the national issue of judges judging judges in Brooklyn, NY, US Federal Courthouse. Thank you for your posting. I appreciate your work. at 225 Cadman Plaza East, Brooklyn, NY. Administrative Office at (202) 502-1100. Likewise, you can contact Mr.
written request to JudicialConductRules@ao.uscourts.gov . of Speech Clauses of the First Amendment. Messrs. Saxe and Corelli to provide you with their contact information. the leisure of those who control it. I hope that you have an enjoyable holiday tomorrow. Obvious, we need a Public board to review these complaints as well. People should send copies of their complaints to a grass roots organization that will review the complaints and evidence and perform analysis for the Legislature should the evidence show that this self governing system of Judicial Review is not working. Which we all know is not.